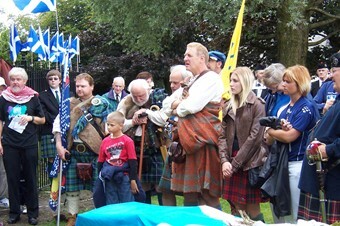 Just over a year from that never to be forgotten day in London many of those who had taken part that day gathered in Elderslie to once more remember Sir William Wallace. 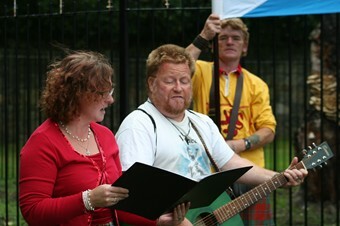 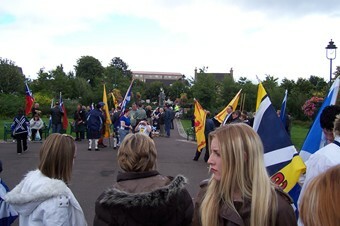 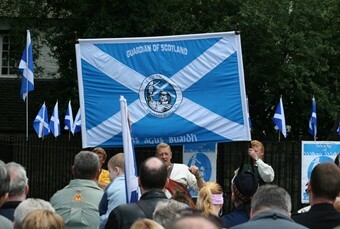 The march, which started in Johnstone, followed its usual route to Elderslie; however this year the coffin containing all those messages and momentos of Wallace was at the head of the march. 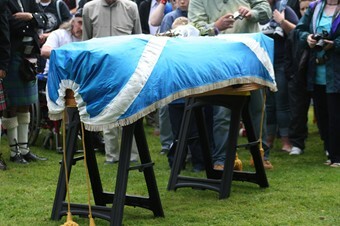 Hopefully most of the on lookers realised that it wasn't a funeral they were watching but a return home of the feelings of so many people. 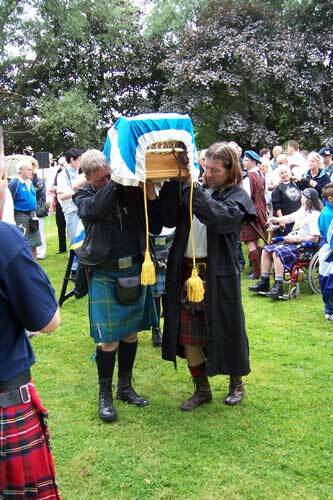 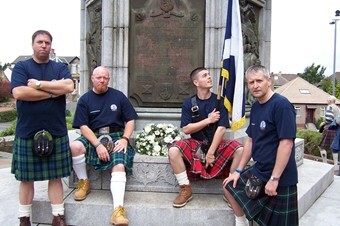 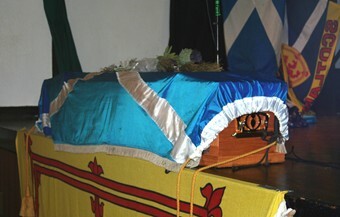 The coffin was placed in front of the memorial on the site of Wallace's birth and his spirit truly was home. 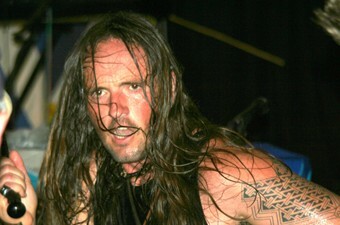 David Ross gave his usual inspirational speech and was followed by singer / songwriter Ted Christopher. 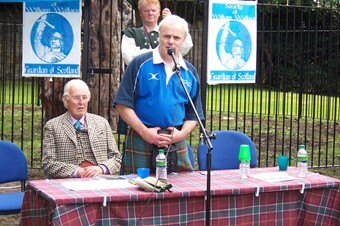 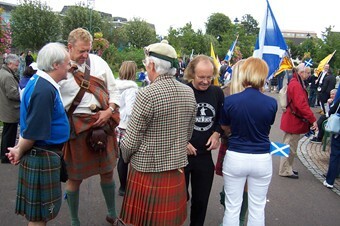 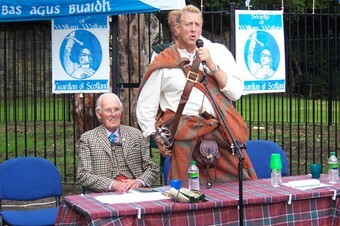 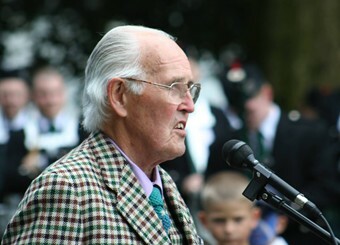 Ted is known to many of us for his appearances at so many events and his speech was very well received. 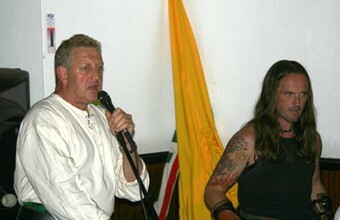 His patriotisim and sense of humour shone through and proved he can speak as well as he can sing. 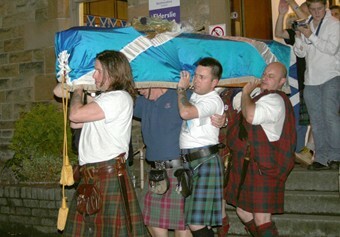 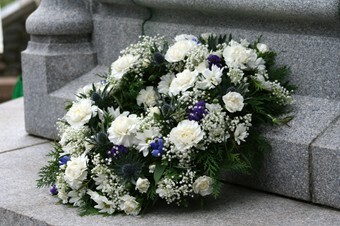 The coffin was then taken round to Elderslie village hall and laid on the stage just as it had been in London last year. 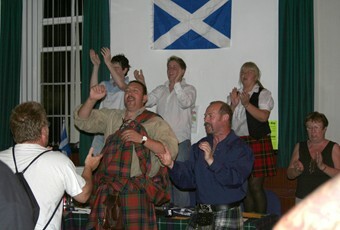 The Wallace day then reverted back to its traditions with there being an evening of entertainment in the hall. 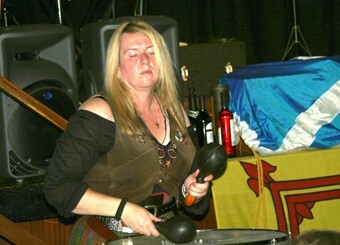 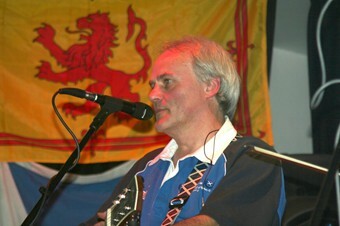 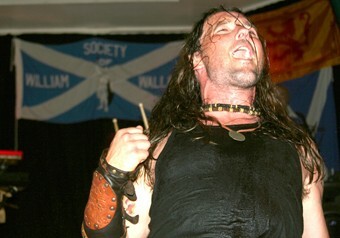 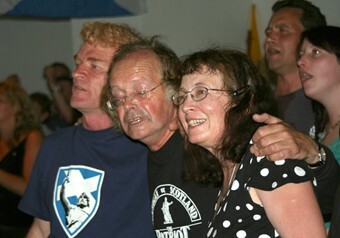 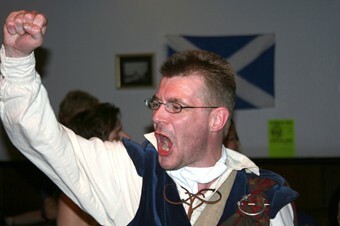 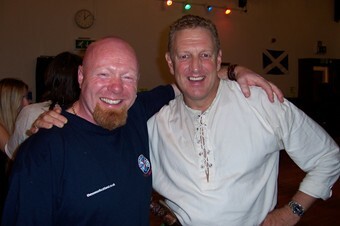 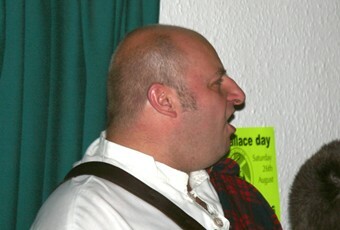 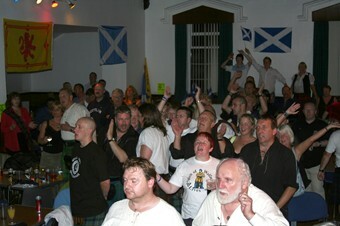 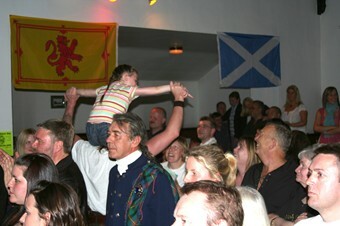 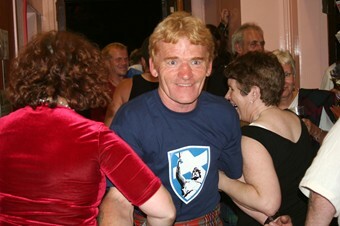 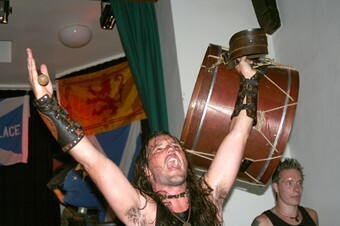 This was provided by Ted and his band and Albannach and the hall was bouncing into the early hours of the morning. 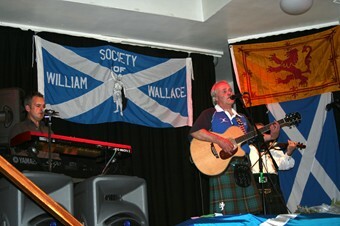 As ever Wallace was remembered with respect however it was clear that all those there had enjoyed themselves immensely and thanks go to the Wallace Society for this. 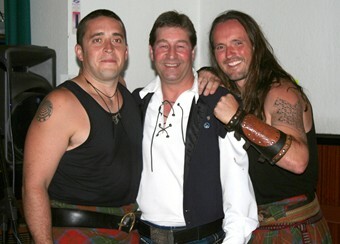 Duncan with Kyle and Jamesie.